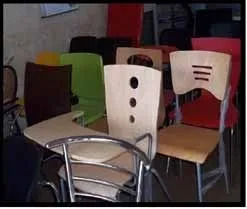 We Sumitra Trading Company take this opportunity to introduce ourselves as one of the leading Manufactures, Wholesalers and Exporters of an exclusive range of Chairs and School Furniture. We have been catering to educational institutions for years with a competitive edge to customers, and already supplying these furniture to various schools all over India & also Exporting the above products. We have a team of professional designers, craftsmen and quality control specialists to ensure that our furniture meet the standards for quality and durability. Our highly trained and experienced designers and craftsman use excellent quality raw materials that include leather, wood, synthetic materials and steel to create beautiful furnishings that last for long. Further, the quality control specialists inspect our products to ensure they are dimensionally accurate, seamless edges, moisture resistant, durability and other factors, so you can be sure our furniture will last for years. We believe in Exceptional Value and Quality, Large Selection and Outstanding Service. Our goal is to form long term relationships with our clients by providing the quality range of furniture. Every decision we make, from the selection of quality materials through our attention to detail in construction and quality control, is customer driven to provide our clients with the best service in the industry. Further, with our endeavors, we have been trying to satisfy the requirements of our customers. 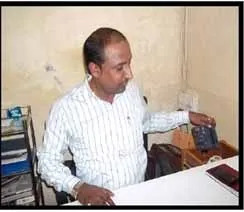 We provide full customization to our customers as per their designs and specifications. Further, our prices are very competitive and we attend all orders & inquiries on priority basis. 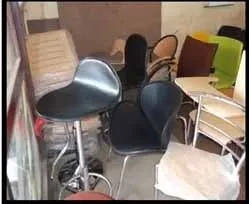 Trading of Designer Chairs and School Furniture. We give special emphasis to manufacture and deliver our consignments, which can meet the specific needs of our clients. Our designers incorporate innovative and modern designs to make the quality range of furniture classy and trendy. The products are available in various colors, designs, shapes and sizes and are also customized as per clients'''' drawings and requirements. While designing the furniture as per clients'''' specifications, We take special care so that we don’t miss any instructions provided by them. We have emerged as one of the renowned names in the industry owing to the collective efforts of our dynamic and ambitious team of professionals. 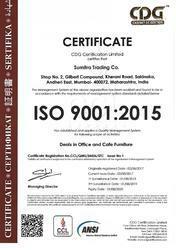 Our team is focused towards achieving the goal of our organization in order to acquire total client satisfaction. The team members are aware of the latest trends in the market and hence, work accordingly to survive in the competitive market. Furthermore, regular training sessions and seminars are conducted to guide the professionals and enable them to improve their efficiency.